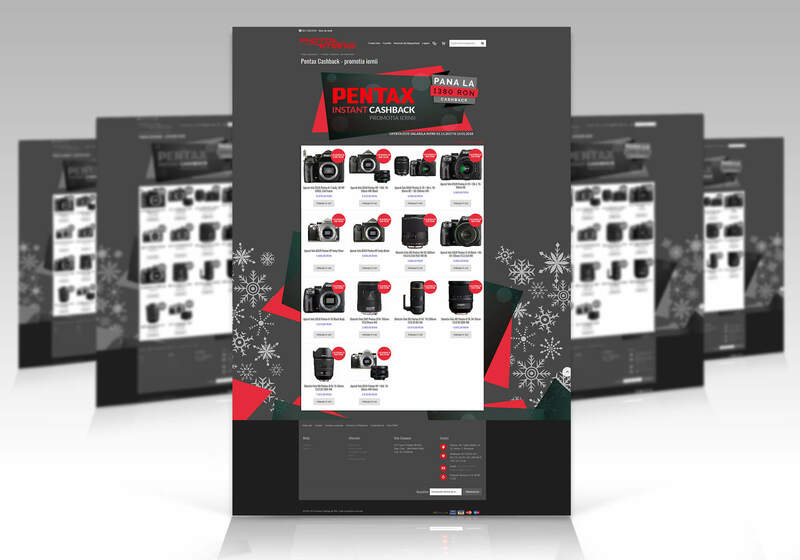 We crafted for www.magazinphotomania.ro a suitable landing page for the cashback campaign. The landing page is 100% responsive and is designed to fit with the company's image. Implementation mode was instant, adjustments automatically applied when the cache was emptied without affecting the customers experience. In addition to the current Magento discount functions, Photomania team needed a way to promote through Cashback. Through cashback function customers will automatically get their discount when they will place orders. On the promotional label it was displayed the amount of cashback for each product that has a cashback value. Applying the promotion this way will not affect other discount rules present in the online shop or the normal way of working with promotions using the special price and special price attributes from / to. Photomania team can now create promotions of this type with these rules whenever they want. Does your online store based on Magento 2 need a specific function? If you want a special promotional landing page or adding new features to your online store based on Magento 2, do not hesitate to contact us!